ORLANDO, FL--(Marketwired - March 04, 2016) - As one of the world's best known Christian authors and orators of the 20th century, Roberts Liardon has reached millions with his books that impart religious and spiritual advice as well as touch on his own experiences. His latest book will focus on diligence -- a subject on which Liardon no doubt has much valuable information to share. Releasing his first best-selling book as a teenager and founding a ministry and Bible college by 25, he is recognized for his tireless work in sharing the words of God along with his countless humanitarian efforts. It's partly due to these traits that there is such an air of anticipation around his next literary offering. In addition to his personal writing style, the success of Roberts Liardon can be attributed to his commentary about spiritual matters he understands through life lessons, a deep comprehension of the Bible and extensive knowledge of Christian history. While he may be best known for the landmark book "I Saw Heaven" and his educational book series and DVD series "God's Generals," Liardon has written many other books on topics ranging from how to achieve a more intimate relationship with God, to resisting the influence of those who wish to take others down the wrong path. In these works, he combines real-world experience with relevant Bible passages that highlight God's advice on the topic at hand -- and readers can expect this same effective approach in his upcoming work. He has previously explained the inspiration in one short phrase: "a simple pause can change everything." The spiritual leader defines diligence as "giving special attention to a duty or task," and he believes to do so, we must slow down parts of our chaotic lives to give important tasks the care they need. "Many people wonder why they don't succeed at various tasks which they deem significant to them," Liardon explains. "However, if they look closely, they will realize the answer is simple: they have failed to give the matter the time or devotion necessary to ensure success." While he concedes this has become increasingly difficult in our information-saturated world, he maintains learning this skill can propel anyone to considerable success -- not just at one task or area of life, but overall. Liardon elaborates the fact the Bible eloquently expresses the same sentiment: "Do you see a man diligent and skillful in his business? He will stand before kings; he will not stand before obscure men." Proverbs 22:29, AMP. Roberts Liardon is a spiritual leader, author, public speaker, church historian and humanitarian. Dedicated to better serve The Lord and his fellow man, he established Roberts Liardon Ministries, which is now based in Sarasota, FL and later Spirit Life Bible College in Irvine, CA at the age of 25. 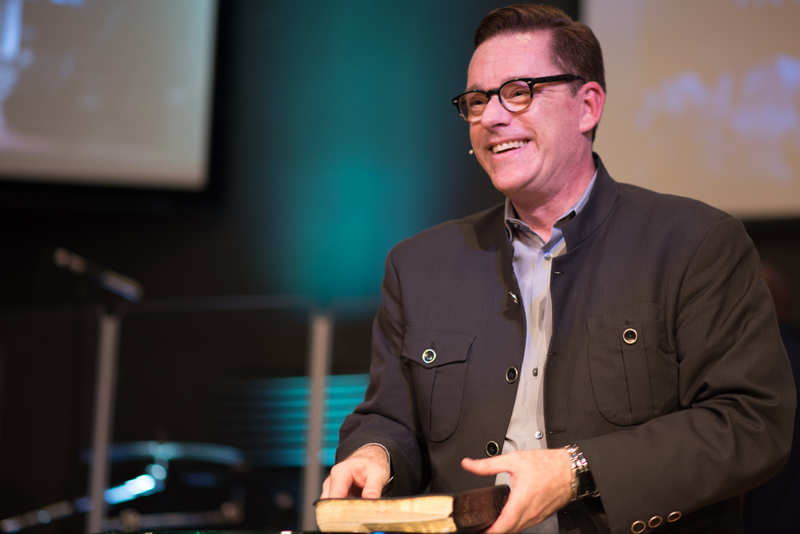 Liardon has sold over 15 million books worldwide, including the powerful "I Saw Heaven," written when he was just 17 years old, and the bestselling series "God's Generals" which cemented his place as a leading Pentecostal Church historian. He and his missionary teams have provided spiritual guidance and help to those in need both at home and around the world. Roberts Liardon maintains a demanding speaking schedule and continues to mentor the next generation of spiritual leaders.